Tara Lucke specializes in estate planning, tax, asset protection, business succession, trusts and super estate planning, tax, asset protection, business succession, trusts and super. As a lawyer, she is dedicated to the protection of her client’s wealth and its transition to the next generation. 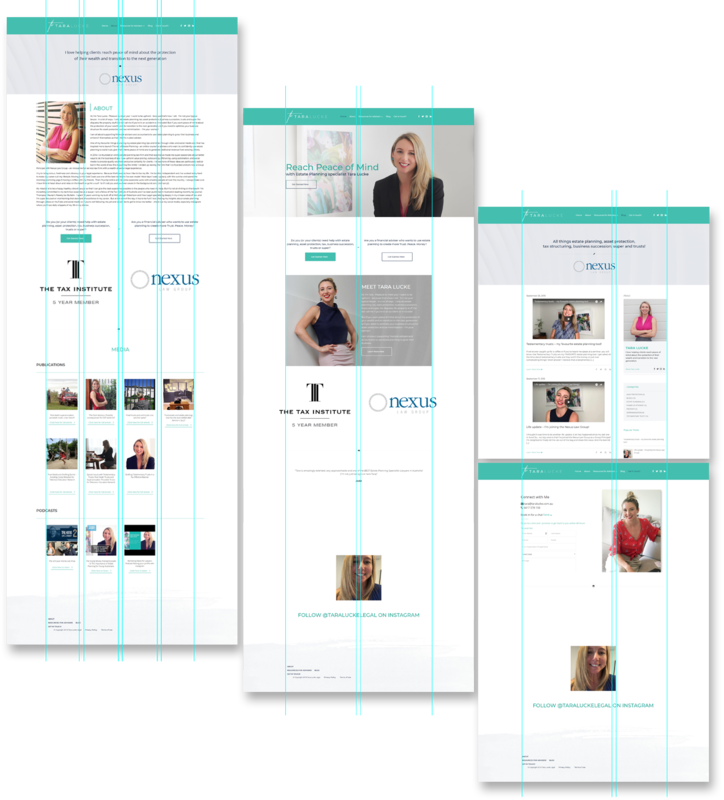 Tara is seeking to innovate her site’s design while still conforming to her branding guide. As a lawyer looking to establish her brand strongly, she wants lots of her pictures employed in the design. A fusion of the branding guide and a new design language was created to cater to the technical feasibility. In line with that, this paves the way to a smoother and slicker layout with the new content that is planned to be deployed. 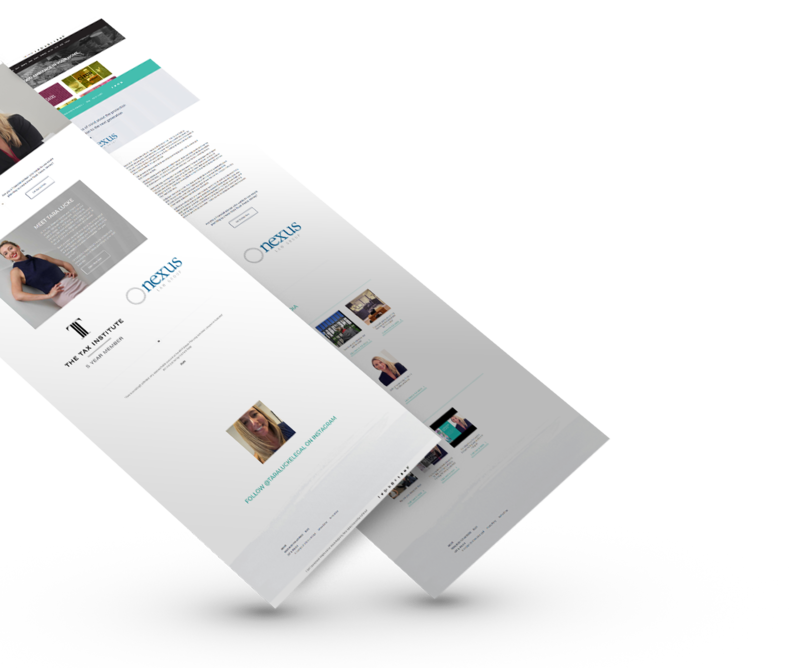 Fused with watercolor brushed elements and precise containers, Tara Lucke’s new webdesign yielded a heightened user experience and opportunities to place content and target them properly. Everybody has the right to reach for peace of mind. As a proud advocate for providing solutions, Tara Lucke does not discriminate on who can seek it. And this includes your screen size! 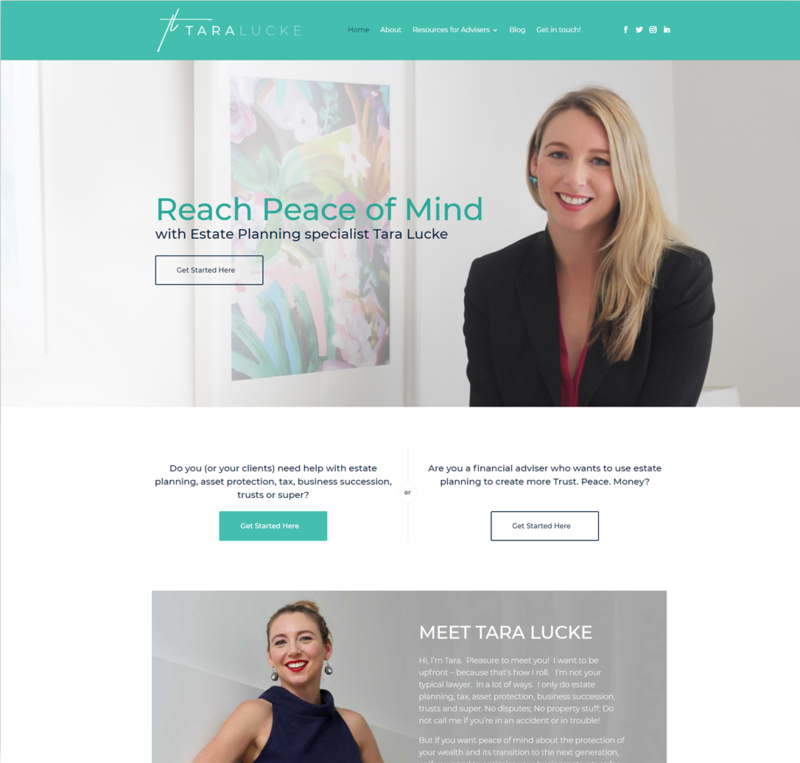 Given the subject matter at hand, Tara Lucke is an upfront brand that leaves no room for doubt about credibility. No beating around the bush. No mess. 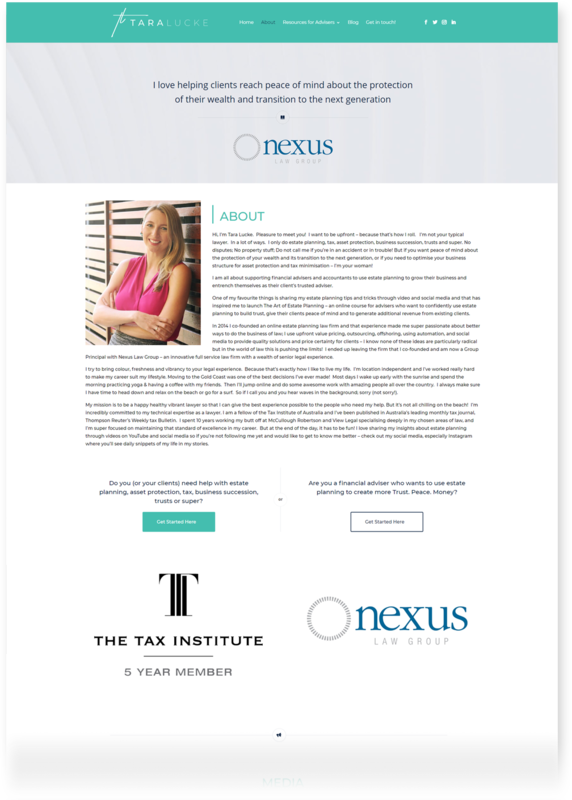 If you want peace of mind about the protection of your wealth and its transition to the next generation, or if you need to optimise your business structure for asset protection and tax minimisation – Tara Lucke is your woman. Tara Lucke builds trust and familiarity. With defined layout, the interaction provided wouldn’t confuse the viewer too much and lead them easily to where they want to go. Through that, sections meant to guide the viewer are ever present. As they say, a user interface you have to explain is not a good interface at all!